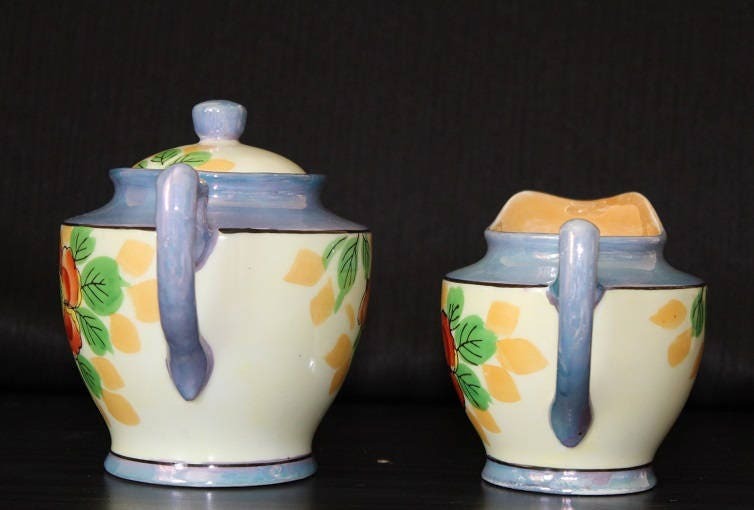 Vintage hand painted cream and sugar bowl set features orange and red poppies framed by yellow and green leaves on a pale yellow background. This design is centered on one side. 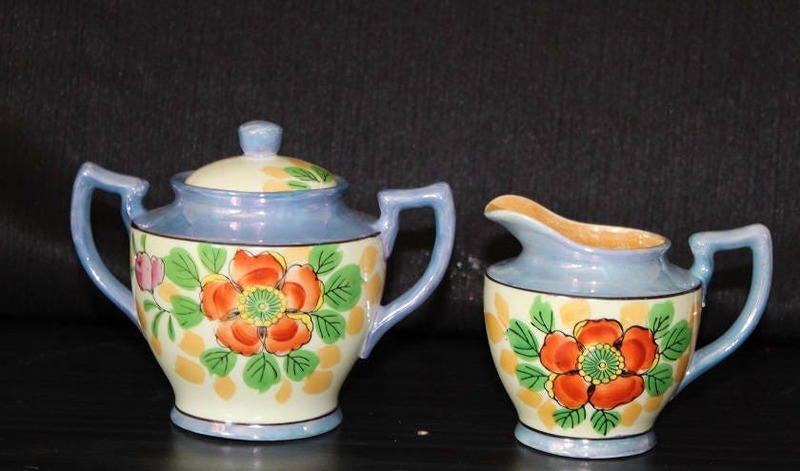 The leaf pattern hangs down the back of the creamer, while a closed red/orange flower surrounded by leaves adorns the back of the sugar bowl. 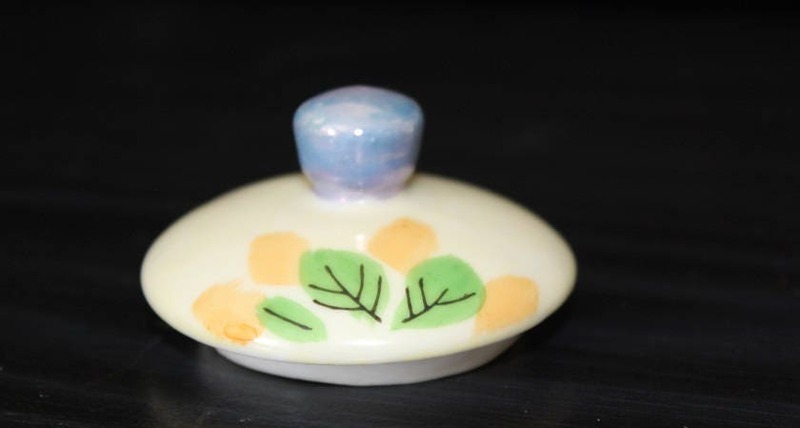 The leaf motif is also on lid of the sugar bowl. The base, top and handles are a sky blue color. 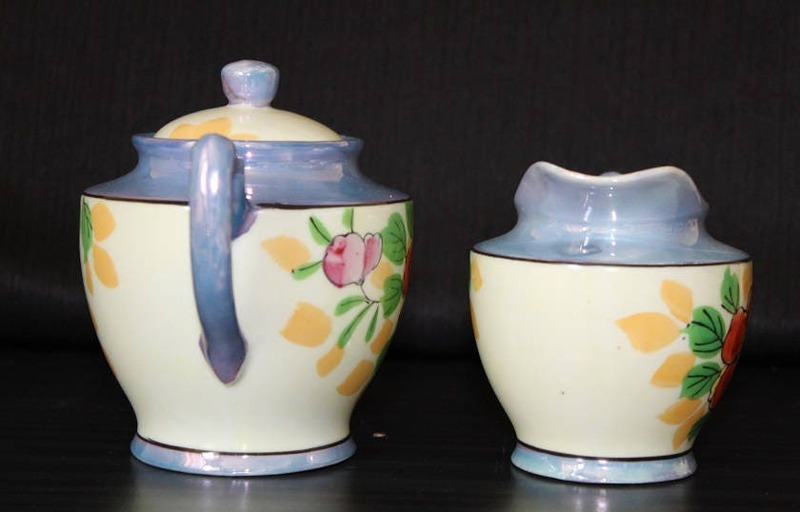 The inside of the creamer is a peach color, and the inside of the sugar bowl is white. 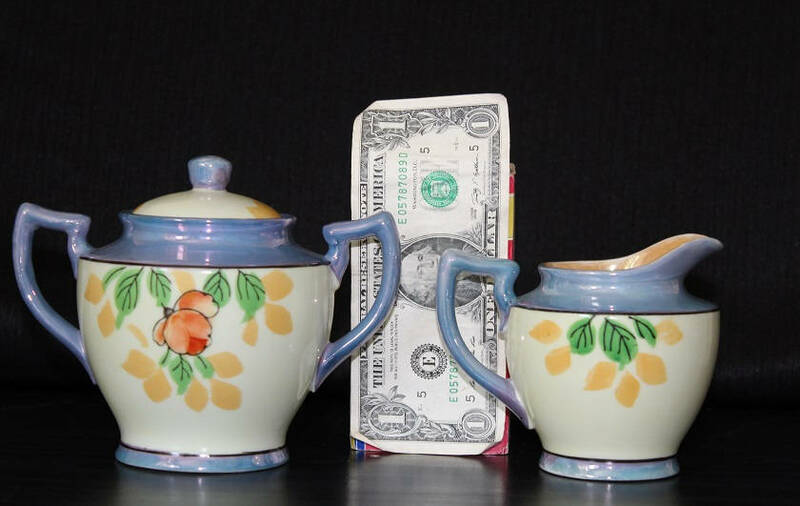 Both pieces have a red "Hand Painted/Made in Japan" stamp on the bottom.